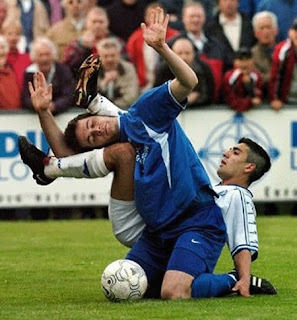 When you wacth the football player, you wil find funny activities. Paul Gascoigne has a very particular distraction technique! Well… maybe he lost something there! 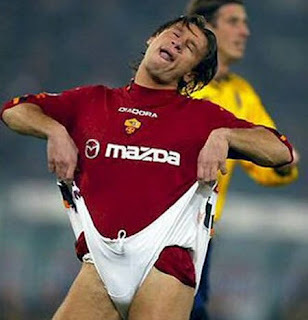 This player is Antonio Cassano from A.C. Roma. Karl Fredrik Ljungberg and a loving streaker. Are they playing soccer or Tetris? Please…no hugging, just a handshake! Luca Toni tries to… kiss his opponent?